Divorce brings out the worst in people. No one knows you better than your spouse and no one knows what buttons to push more than your spouse. Inevitably, hurt feelings can linger for years after a divorce, and if left unchecked these hurt feelings can adversely impact your children. What if a spouse leaves the marriage for another person or because he or she just got tired of being married? How does one successfully co-parent with your ex? Remember, your children are a part of you as well as your spouse. When one spouse denigrates the other to their children, in essence these parents are conveying to their children that they don’t like a part of them. Remind your children often that he or she is loved by both of you. Love your child more than you hate your spouse. I know this is hard, but this is paramount to ensure that your child maintains a positive relationship with both parents. Remember, no one is perfect. Look introspectively at yourself. Could you have said something differently or responded in another way? Are you part of the problem? Maybe sit on that email a couple of days before you send it out, or better yet, have an objective person read the email for content and temperature. Play to your ex’s strengths. You know his or her strengths. Leverage their strengths and yours to improve your relationship with your ex for the benefit of your child. Compromise. Remember, you may need a favor from your spouse next time when you are trying to arrange that vacation. Trust your ex to do the right thing and to parent effectively. Avoid feeling like you have to control every aspect of your child’s life when your child is at the other parent’s home. Know and use the best means of communicating with your ex. Should you schedule a face to face meeting? Is it okay to talk by phone? What about email? Is that effective? You lived with your spouse, you know what means to communicate with this person. Apply this knowledge effectively in parenting. 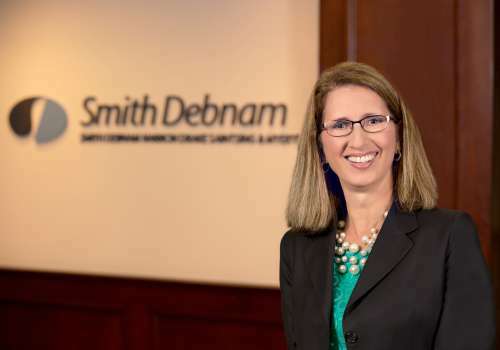 For more information, please contact me at rstout@smithdebnamlaw.com or by calling my direct line at 919.250.2169.